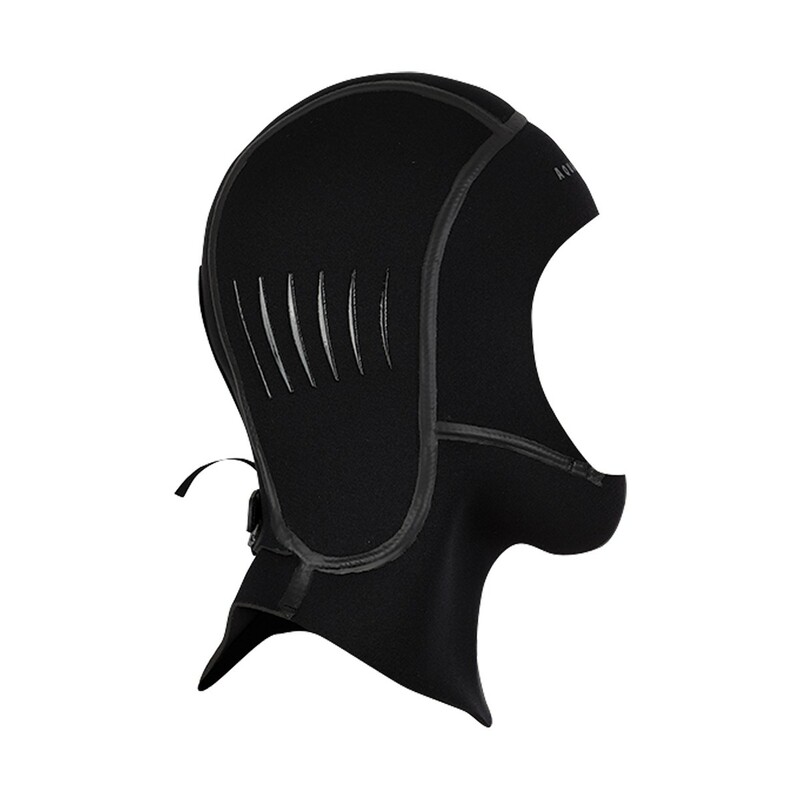 • 7mm neoprene side panels, 5mm forehead, and 3mm chin offer optimum warmth and supreme comfort while eliminating jaw fatigue. 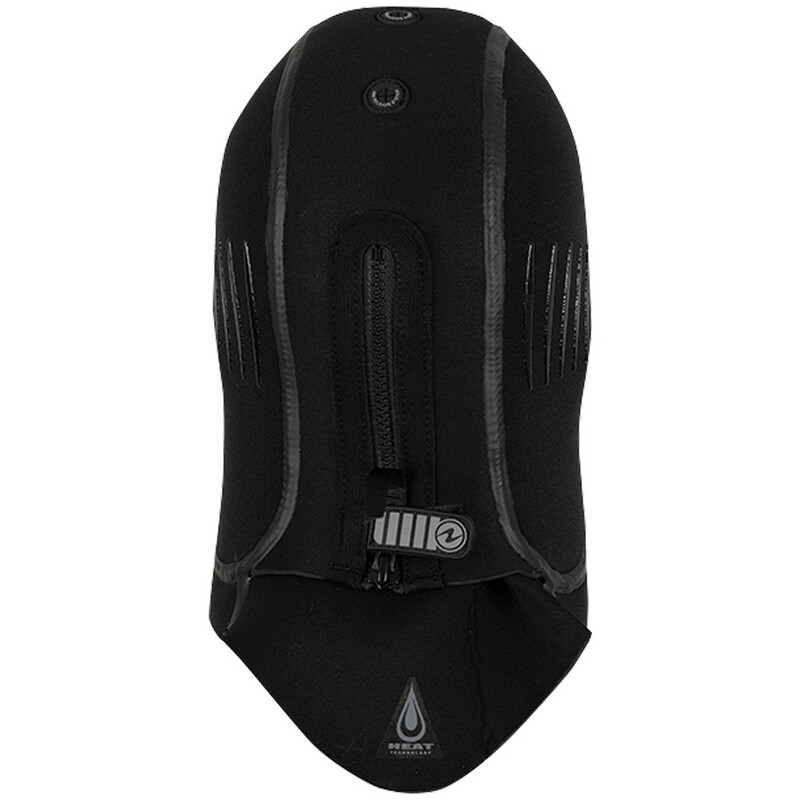 • Zipper with sealing gusset and hook-and-loop fastening tab at zip base allows easy donning and doffing. 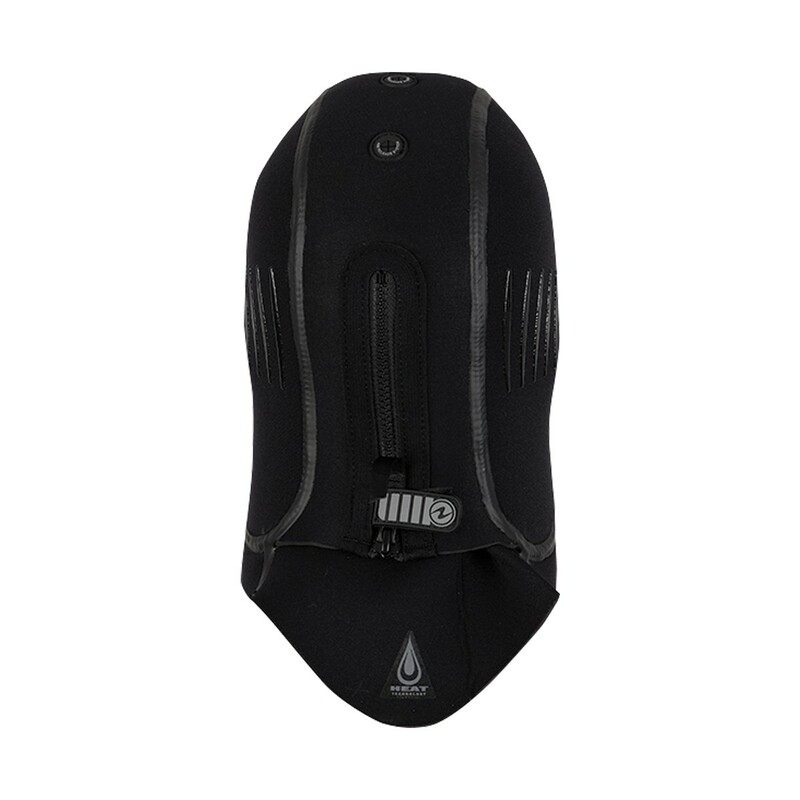 • Center panels are made from double-layered 3mm titanium neoprene with molded vent valves to release trapped air from within the hood. • Seams are glued, blind-stitched, and seam sealed. 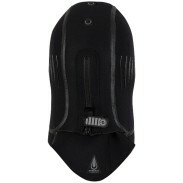 • Grip Strips located at hood side prevent mask strap from slipping. • Ergonomically designed collar conforms to your neck for maximum coverage and mobility.